Take newly uploaded virtual tour! SPECIAL OFFER: Seller will contribute$4,500 towards closing costs when you use preferred lender. 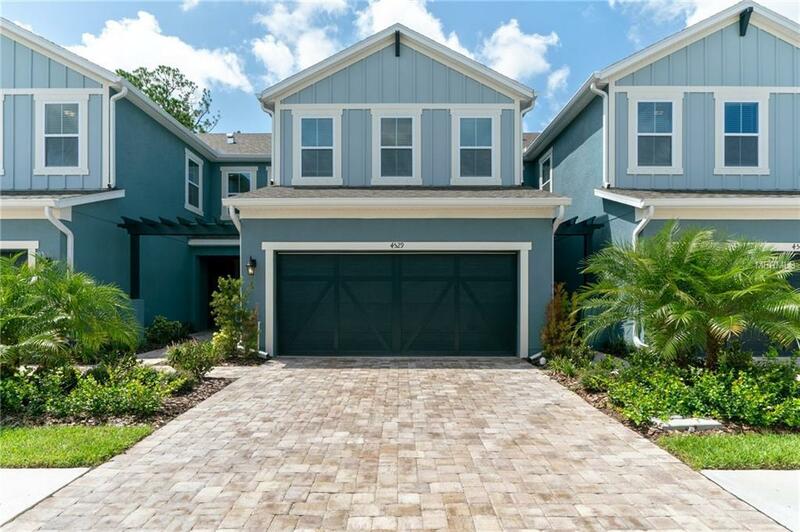 * GATED, NEW CONSTRUCTION HOME with amazing conservation and pond view! This home is move-in ready now! 3 bedrooms, 2.5 bathrooms, 2 car garage with paved driveway and walk way. Hammock Park is a gated community, surrounded by 100 year old oak trees, 2 ponds, and mature landscaping. Perfect oasis close to downtown Sarasota and only 15 minutes to St. Armand's Circle and beaches. *In order to receive closing costs or rate buy down buyer must use preferred lender and close by 3/15/19.